Just a quick reminder the Towelliee Twitch Teespring campaign ends tonight 11PM ET. 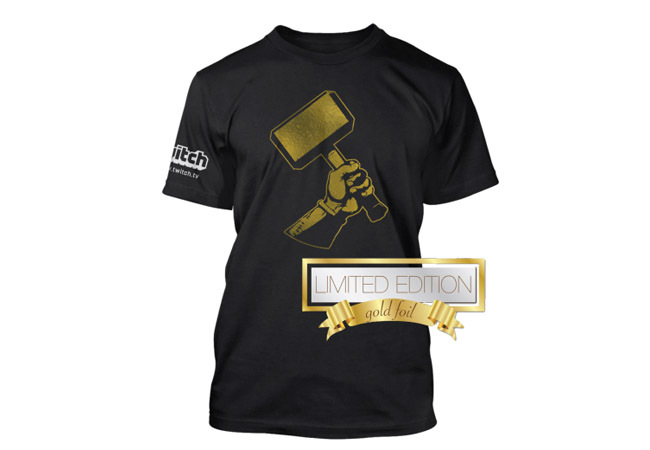 For Towelliee’s campaign he used the Hammer Squad logo in the limited edition gold foil print. Over 700 have sold already, lets see if we can get it up to 1,000 pieces sold. Click the link below to purchase.